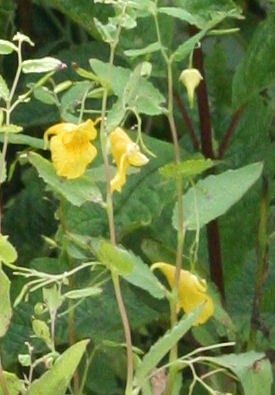 This is a rare native plant - the same family as the garish pink Hymalayan Balsam, but this one is more delicate and yellow-flowered with fine red spotting in the throat. In fact it is our only native form of this family. 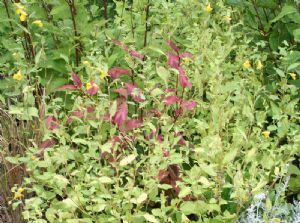 It is not invasive like the Hymalyan species, but it does like similar damp, shady growing conditions, seen here growing with the red-leaved Persicaria 'Dragon'. 'Touch-me-not' is an annual that needs ground distrubance before the seeds will germinate for the next generation. 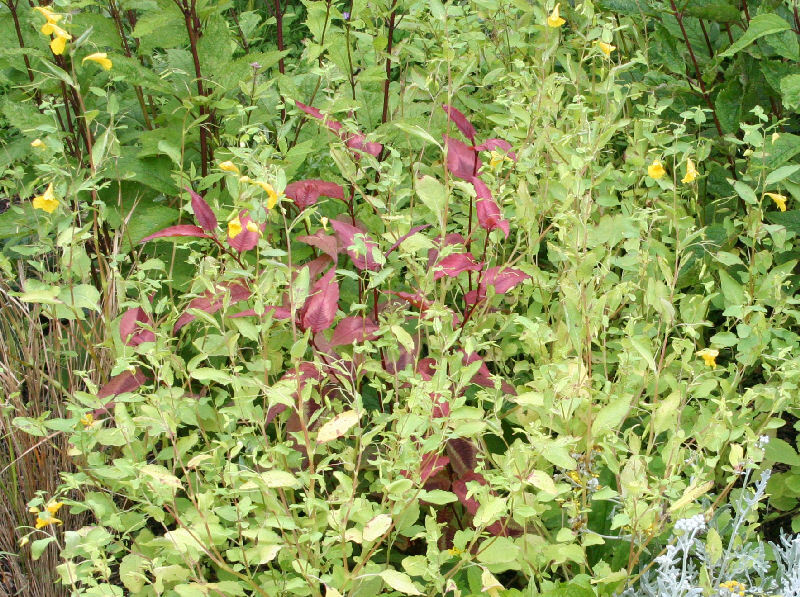 The seed are notoriously difficult to germinate if not absolutely fresh, so I have found the only way to establish a stand of this plant is to put a few plants in suitable areas and let them seed themselves. An equally rare moth (The Netted Carpet) feeds solely on this plant, and it gets more protein from feeding on the unripe seeds than any other part - so it has 'learnt' to bite through the ligaments that fire the seed out explosively before eating them! Isn't nature wonderful?